CBS News recently reported that AirBnB hosted 80 million guests worldwide in 2016. As they disrupt the hospitality industry, AirBnB and its competitive websites encourage homeowners and tenants to offer their spare bedroom, guest house or private home to strangers for short term rentals. Although for many this has been an opportunity to make extra money, it is not without its cautionary tales. The risks regarding the personal safety of both a guest and host have been well documented but the potential financial implications have barely been mentioned. For example, a homeowner that decides to host a stranger for a nightly fee, may be running afoul of local zoning laws, ignoring mortgage provisions and putting their insurance coverage at risk. A tenant that is allowing a guest to share their apartment is probably breaching a lease agreement. Don’t expect the home sharing websites to warn you about these, and other, potential pitfalls. It is up to you, the host to be sure you have not breached any laws or conditions that may put you at financial risk. If you have an “owner occupied” mortgage on your home or condominium, there is very good chance that renting all or part of the property is a violation and could trigger a default. If you are considering refinancing, you may be asked if you rent or plan to rent the property. If the reply is yes, you may find it more difficult to refinance or be charged a higher interest rate. If you are considering jumping into the home sharing market, you must first check your homeowners insurance policy. According to the Insurance Information Institute different insurers have different provisions but all want advance notice of your intention. Some will insist you purchase an endorsement or rider to your existing policy that allows for tenants. According to Allstate Insurance, damage caused by a paying guest and/or losses of property and injury will probably not be covered by a standard homeowners insurance policy. The bottom line, check with your carrier prior to turning the keys over to a paying guest. Around the country, local communities have passed a variety of laws restricting or limiting a homeowner or a tenant’s right to offer to share their home. Typically, this has been a reaction to local zoning laws, rent control laws or protest from neighbors and most vociferously the established hotel industry that has pressured local politicians. It is critical that you are aware of changes in ordinances in your town before you embark on renting out your home. A large number of hosts are also tenants renting out a spare bedroom. Some of these tenants may be yours. Generally, it is a breach of a rental agreement or lease to add additional occupants without advance consent of the landlord. 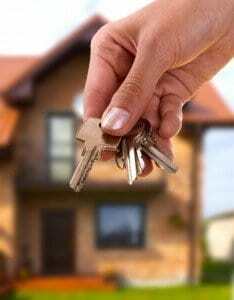 In the event a tenant opts to host someone without advance notice to the landlord, there may be a cause for eviction. Worse yet, there is a possibility that the tenant on the lease moves out leaving the guest in your building as a squatter. Be aware of any new faces that may be living in your property and take aggressive steps to police the situation. In general, home sharing is a thriving industry that has helped a lot of people increase their income with few issues. As the industry grows, the lenders, insurers and local communities will become more aware of the risks posed. Understand the exposure and be prepared.